Need baby wipes?! Look what we found for you on Amazon! 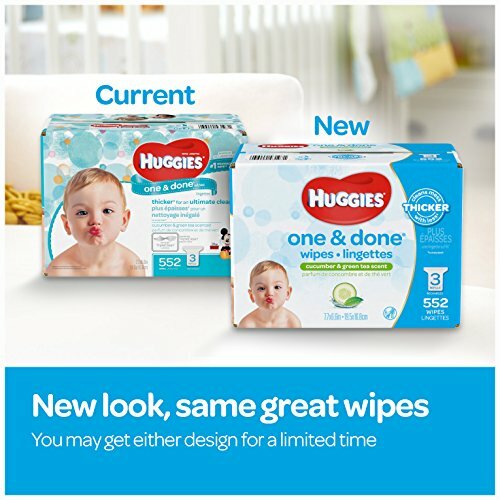 Hurry and get the Huggies One and Done Baby Wipes – Cucumber & Green Tea Scent – 336 ct today for as low as $7.64 from Amazon when you choose Subscribe & Save with at least 5 subscriptions in one month. Just $.02 per wipe!!! (Limit 4!) Check out all of the Amazon deals here! Want them sooner? Choose one-time purchase & pay $8.99. Amazon Prime members get FREE 2-day shipping!! If you are not a Prime member, get FREE shipping when you purchase $25 or more of eligible items across any product category. Buy the Huggies One and Done Baby Wipes – Cucumber & Green Tea Scent – 336 ct from Amazon. Next articleTeenage Mutant Ninja Turtles UNO Card Game – Low Price!